WASHINGTON — The Japanese American Citizens League announced Tuesday that Stephen Kiyoshi Kuromiya has been identified as the Nikkei activist who was beaten by sheriff’s deputies in 1965 during violent demonstrations in Montgomery, Ala. In connection with next year’s 50th anniversary of the Selma-to-Montgomery voting rights march, JACL had been seeking the name of the activist, described as a Japanese American from Monrovia. According to online information, Kuromiya was born at the Heart Mountain internment camp and dedicated his life to civil rights and relief for AIDS patients. He died in 2000 in Philadelphia of AIDS complications. His activism began when he was a student at the University of Pennsylvania. In 1965, he marched in front of Independence Hall in an early rally for gay rights, and he was one of the founders of Act Up, an advocacy group for AIDS issues. 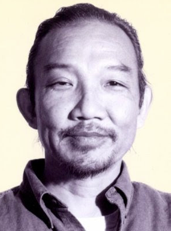 Raised in Monrovia, Kuromiya was one of the founders of the Gay Liberation Front in Philadelphia and served as an openly gay delegate to the Black Panther convention that endorsed the gay liberation struggle. He was an assistant to Martin Luther King Jr., and took care of King’s children following the civil rights leader’s assassination. Kuromiya was best known as the founder of the Critical Path Project, on which he worked with mentor Buckminster Fuller, and was also the plaintiff in the Supreme Court case Kuromiya v. United States of America, which called for legalization of marijuana for medical uses. Laura Iiyama, Derek Furukawa, and Harry Kawahara assisted in identifying Kuromiya.